During the year Anastasia McQueen performs many works as a saxophone player for weddings. While it is true that this activity tends to be concentrated in the summer months not all couples choose the months of sunshine to seal their bonds. Therefore, Anastasia can be hired to provide the music of the ceremony or the later party with the guests at any time of the year. Anastasia McQueen can put music to the ceremony, whether it is held indoors or if it is celebrated outdoors. Her experience as a saxophone player for weddings is very wide and she knows very well what is best in each type of ceremony, but she always accommodates the tastes of the bride and groom. Anastasia can also play at the party that takes place after the wedding, so that all the guests can dance to the sound of her music. Her sax show accompanied by a DJ is one of the best to animate parties and for everyone to have a great time away from the usual run of the mill mode of parties. She will give attendees a show with a lot of class, and plenty of surprises too. Book your date as soon as possible with Anastasia since her growing success as a saxophone player for weddings means that every year she has fewer free dates and you have to hire her more in advance. 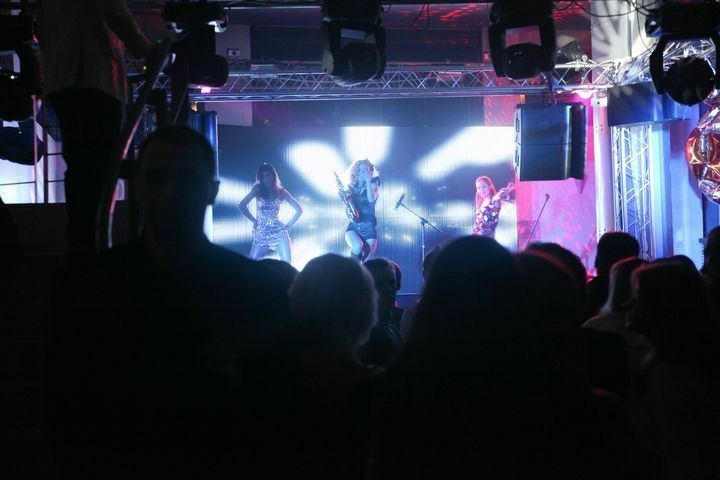 If you are organizing a original and different bachelor or bachelorette party, you may want to organise it at one of the hotels with a pool where Anastasia performs her saxophone and Flyboard shows. This is a unique experience that all guests will view as something very memorable. Seeing Anastasia fly over the pool while playing the sax accompanied by a professional Flyboard, which will also do all kinds of stunts during the performance is certainly an original touch that will make the party something special and different. Now that more and more couples opt for stag and hen parties in non traditional styles, hiring Anastasia for their celebration is a fantastic choice. Anastasia McQueen and her sax shows are the perfect touch for those who want a fun and unforgettable farewell to single life, whilst also staying elegant and classy, and evading certain clichés that are becoming increasingly outdated. Copyright 2016 Anastasia-Mcqueen.com - All rights reserved.